What to wear? Comfortable clothing that you love wearing just not loose fitting clothes. Clothing that is easy to move in and wicks away sweat. Avoid clothing that restricts movement and cotton fabric that absorbs and holds moisture. Clothing appropriate for jogging or running constructed of dri-weave fabric is great for yoga. Change rooms? Our change room/bathroom offers shower facilities so please bring an exrtra towel. Do I need anything other than my mat? No, but many students will use blankets, blocks and sometimes straps as props. Some also like having a small towel. Yoga mats, towels and water? Please bring your own mat but if you require a yoga mat we will provide you with one for your session. Our freshly clean mats are available to rent for $1. We provide yoga props such as yoga straps, bolsters, blankets, chairs, flex-bands, and cork blocks for your use during practice. How should I place my mat when I enter? Neatly place your mat in line with the other mats. The distance between mats will vary and likely you will need to adjust your mat placement as additional students come into the room. When classes are more full, please cheerfully hug in closer together so everyone can fit into the room. Please place the mat quietly as students begin to come into their yoga energy. Stay hydrated. We provide drinking water and tea before and after class. We offer bottled water for $1 if you prefer. What does “namaste” mean? Namaste means ‘the light within me sees and honors the light within you’ – it acknowledges the connection among all beings and the presence of goodness in everyone. What if I’m running late to class? Please do your best to be on time. The opening is important for centering and beginning the yogic experience. If you are late, and the teacher has begun her opening of class (speaking or “om-ing”), please sit quietly in the doorway so you can participate in the opening without disturbing the class. The teacher will invite you in as soon as possible and will help make space for your mat. Why should I stay for savasana? Savasana is the quiet resting pose at the end of the practice. Like the opening, it is a very important part of the practice. It brings closure to the entire experience. While you are enjoying a supported and relaxed position, you are prompted to keep the mind actively observant, rather than busy and distracted, so you can absorb the lessons from the preceding class. Also, students leaving as the class is winding down change the energy of the class and affect the experience for the other students. If you must occasionally leave early from class, please let the teacher know at the beginning of class. Can I bring food or water into class with me? Closed containers of room temperature water (or similar) are welcome. Can I bring my cell phone into class with me? Please leave your cell phone on the shoe rack or purse rack. In either location, please turn it to silent (not just ‘vibrate’). If there is an occasional emergency situation that requires you to bring your phone into the yoga room, please check with the teacher. What kind of yoga does this studio offer? YogaTent offers a variety of yoga that shares the traits of ‘normal/warm room temperature,’ moderate pace and clear instruction. Some classes (flow) emphasize a steady, fluid movement and pacing to the class; some classes (Anusara/ Iyengar) emphasize precise alignment and focused movement while still gracefully moving into poses. 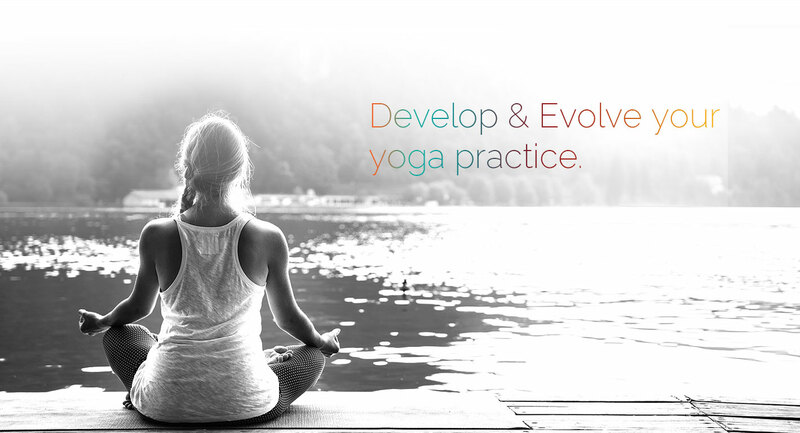 We also offer specialty classes like Restorative Yoga that are more gentle and quiet but still can offer a unique challenge. What should I do if the class is doing a pose I can’t do? The teacher will almost always offer an alternative that is similar to the main pose so you are still participating and getting the benefit of the lesson. You can always ask for an alternative or just stay with the last thing you were able to do. Should you find you simply need a rest, you can choose to sit or stand or do a resting pose as needed. Note that yoga is meant to be challenging but do-able and to be done in an easeful way. The teacher will help you to find your pace and rhythm so you can enjoy the class. Is yoga a religious thing? Yoga is a ‘spiritual’ practice. Since it comes from India, there are some references to those deities that represent universal human experiences, but it does not teach or embrace any religion.